The coveted Newbery and Caldecott awards were just announced. Hello Lighthouse, by Sophie Blackall, won the Caldecott medal award. The four Caldecott honor books went to Alma and How She Got Her Name by Juana Martinez-Neal, A Big Mooncake for Little Star by Grace Lin, The Rough Patch by Brian Lies and Thank You, Omu by Oge Mora. The Newbery medal award went to Merci Suarez Changes Gears by Meg Medina. The two Newbery honor books were awarded to The Night Diary by Veera Hiranandani and The Book of Boy by Catherine Gilbert Murdock. One of my favorite holidays is Valentine’s Day because it celebrates love and kindness to others. 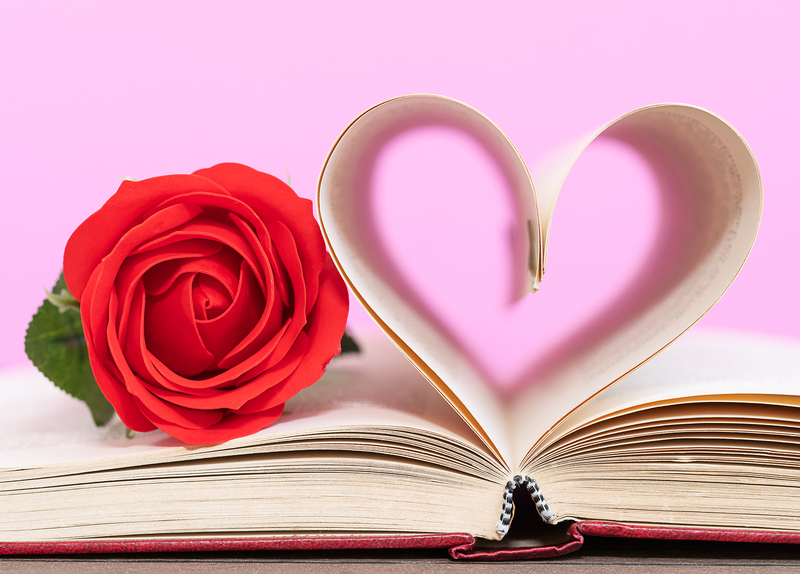 The following books do just that – celebrate love. They are all picture books and are perfect for ages three through eight. The Poesy Ring: A Love Story,by Bob Graham, is a beautifully told tale of how love never dies. The story immediately becomes apparent that a young woman is saddened with tears and the year is 1830. She loses her ring that is engraved “Love Never Dies” and it becomes embedded in the ground. As time goes by, it is at the mercy of nature where it eventually is found 100 years later by a couple in love. The glorious pictures, done in ink, watercolors and pastels, move this special story perfectly to the end. Love is Walking Hand in Hand, by Charles M. Shultz, was originally published in 1965 and still embodies the simple acts of friendship and love that prevail throughout time. Love is getting someone a glass of water in the middle of the night. This page shows Charlie Brown giving his dog, Snoopy, a cup of water. (Most of the pictures in Schultz’s famous comics strip shows this much-loved pet on top of his dog house.) The format of this book is in its original format. I Need a Hug, by Aaron Blabey, shows a prickly porcupine desiring someone who will give him hugs and allow him to snuggle. He asks several different animals (a bear, a moose and a rabbit) and they all refuse defiantly as they run away. But there is one animal who is very happy to hug him. The text is a trademark of Blabey who’s rhyming tale makes this a delight to read out loud. The animals’ expressions are caught in the illustrations made with acrylic, pens and pencils. Be sure to check out the end pages. I’ll Love you Till the Cows Come Home, Kathryn Cristaldi, and vividly painted on the entire page by Kristyna Litten, is a fun and funny story depicting love eternal. Every opening of the double-page spread shows many different animals and ends with the exclamation of how long this love will last. The rhyming text is found throughout and is a delight to read out loud. “I will love you till the ants march in wearing tiny ant hats and tiny ant grins and birthday cake crumbs on their tiny ant chins. I will love you till the ants march in”. The antics of each animal depicted are hilarious and are made with mixed media to create the exuberant digital pictures. You Make Me Happy, by Smriti Prasadam-Halls, and brightly illustrated with open-page spreads throughout by Alison Brown, is a rhyming expression of endearing love, friendship and support. A charming red fox and a bristly blue porcupine are true friends and the rhyming story conveys this fact on every page. “The things that you do, and the things that you say fill me with sunshine and brighten my day”. This story can fill hearts from grandparents, parents, siblings and friends. All You Need is Love, by John Lennon and Paul McCartney, and vividly painted with brilliant color by Marc Rosenthal, celebrates the classic and quintessential song from the Beatles. It begins with a Bear as he enjoys the sweet melody of a bird. He follows the bird and soon more animals are following. Before long there are people, flowers and animals in a parade as all march throughout the city. The words to this famous song move right along with this happy parade. The theme is simple, yet powerful: all you need is love! Making a Friend, by Tammi Sauer, and illustrated with using Photoshop and penciled scans to create digital pictures by Allison Friend, has Beaver attempting to find a friend. He comes across Raccoon and together they decide to build a friend by creating a large snowman. This snowman looks happy and nice, but they realize he’s no friend. He doesn’t show anything at all towards them. However, they realize by working together they have become good dependable friends! Each of these animals are bold in color and full of darling expressions. Harold Loves his Wooly Hat, by Vern Kously, demonstrates sacrifice and giving up desired items in order to help others. Harold is a bear and loves his winter red striped hat. He loves this hat and wears it all the time. He feels like it sets him apart from the other bears. But then a crow suddenly takes his hat and flies up to the top of a tree. Harold attempts to get the crow to give it back by giving some of his other precious items. When nothing works, Harold climbs up high to retrieve his precious hat. But what he discovers will change his attitude and help him want to help others instead. The amount of white space between the wonderful illustrations help make the main characters stand out which were done with pencil, pen, and watercolor and manipulated digitally. Try a Little Kindness, by Henry Cole, is actually a recipe to be charitable and kind to others in many different ways. It begins and ends with a rhyme of advice to encourage and keep the kindness going. Some of the helpful advice includes: “Tell someone they are special. Visit someone who is lonely. Write thank you notes!” The artwork is full of detail featuring an assortment of animals and is done with pen, ink and watercolor.